My little brother and I are what you could call… competitive. Especially with each other. This mainly goes for things such as games, who gets the best seat on the couch, the last cookie, things like that. But it also happens to come on strong when April Fools comes along. Well, it did until we got it banned from our home. There are few things “banned” in our house, like hide n seek, baby powder, monopoly, and now April Fools. It was a normal April Fools Day some years ago now when I think I was in 6th grade that a small prank turned into a small war. I had seen a joke in a joke book at school where you rub pencil lead on the side of a quarter and tell someone you bet they can’t roll it down their face, only to have pencil lead left as a trail down their forehead. It’s funny, harmless, but in my family that was the first spark in a not so funny rest of events. As my brother was only about 6 at the time he got very offended when I played this prank on him, we all laughed, and he couldn’t trick me into doing the same thing. So his 6-year-old self took it upon himself to try something to get back at me. Which of course led to him putting toothpaste in my sink. That I retaliated against by putting toothpaste on the back on his sink knobs so when he touched it he would get it on his hand. And he retaliated back. Taking all the hand soap in my bathroom and pouring it over everything, even my toothbrush. I luckily noticed before I had a chance to put it in my mouth but I was mad and instead of doing something funny I did something kind of mean. Which led to my brother crying, which of course I then told my mom what he had done, and now we were both in trouble. 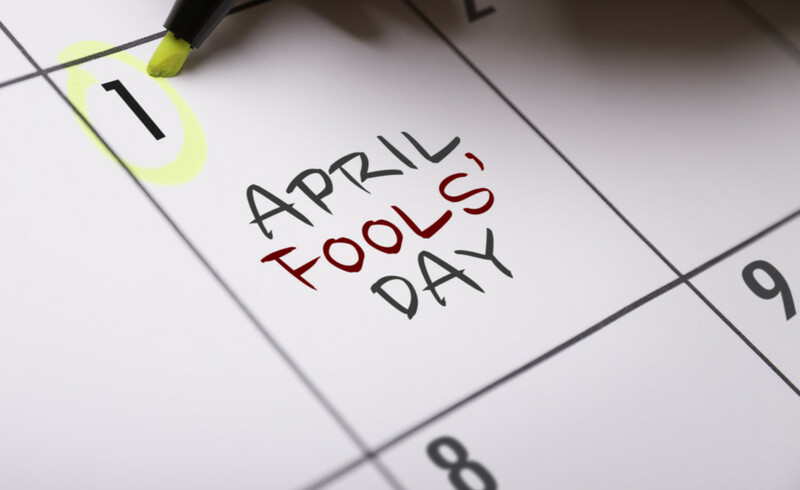 So naturally, the only thing to do to stop our competitive natures and stop us from crying every April Fools because we couldn’t just laugh at jokes, April Fool’s Pranks were banned. This was almost 10 years now and pranks are to this day banned in my household. Will this ever be lifted? Maybe when my brother and I stop being poor sports… so probably never. What is the best/messiest prank you’ve ever done or had to happen to you, on April Fools? Have you ever gotten a game banned in your home? Let me know in the comments! It has almost been 1 Year since I started Thoughts and Daisies, how crazy is that?? In honor of this, I am going to be doing an April Challenge where I put out a new blog post, or send a special email blog post out EVERYDAY (fingers crossed) this month. So if you want to be in on the exclusive posts you need to join my email list! It’s easy just put your info in and hit subscribe. Happy April! Monopoly Banned! What kind of communist ruling is happening over there?! Lol! Funny article. Ask your Tio Danny about my homemade sneezing powder…. Lol Monopoly being banned was my papi’s fault! !